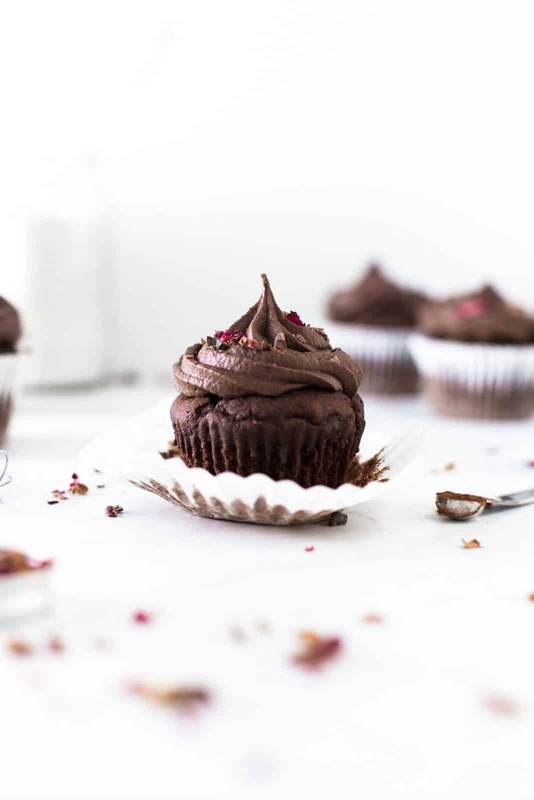 This easy double chocolate vegan cupcake is a dish you absolutely need in your dessert recipe book. Easy and beginner-friendly. Moreover, it only uses staple ingredients and requires no fancy appliances. It’s a classic vegan dessert that will leave your friends and family claiming they would “never think this was vegan”. I won’t bore you with details, because I know you’re here to grab the recipe and get baking. 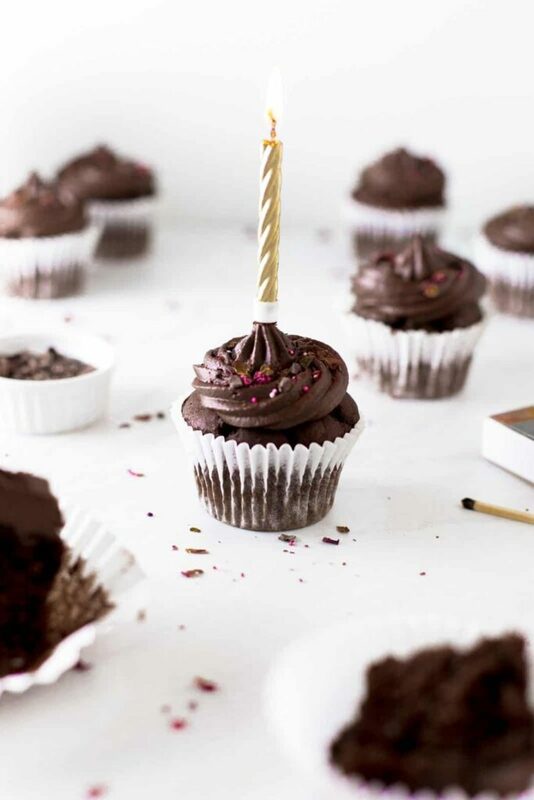 So, here’s the news – I’m nominated for two ‘One Bite Vegan’ Awards! This is the first time I’ve been among nominees for a big vegan award and I’m absolutely thrilled. 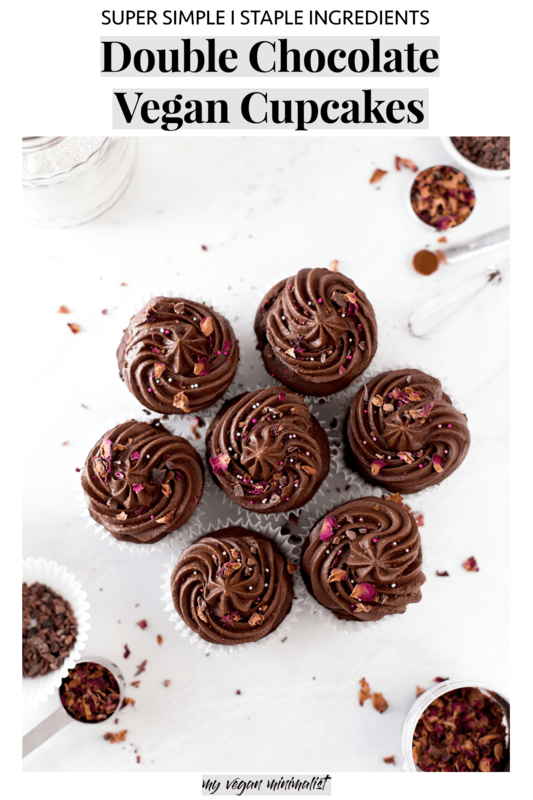 If you’d like to vote for me in the ‘Best Food Photography’ and ‘Best Vegan Baking & Sweets’ categories, then go ahead! P.S. – by voting you get the chance to win a Vitamix Ascent Series A2500, valued at over $500! How brilliant is that?! 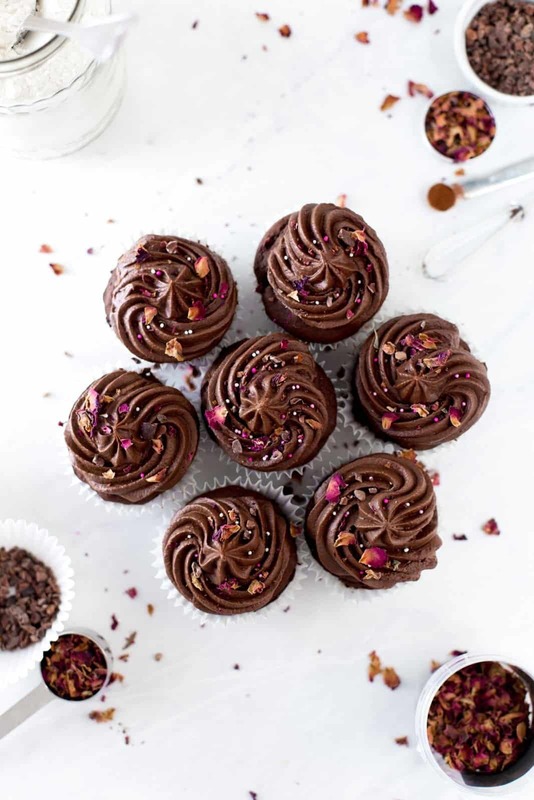 Let’s get back to why you’re here for – to bake the most amazing vegan cupcakes! What I love about this recipe is that it literally only requires basics. 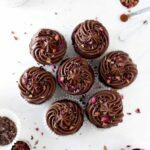 You will need staples like cocoa, non-dairy milk, butter, flour and sugar, but that’s pretty much it! 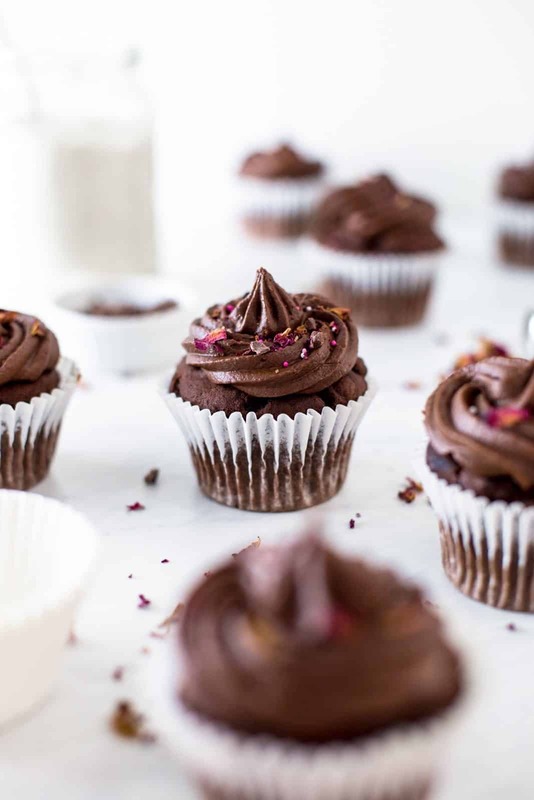 Making an easy double chocolate vegan cupcake is a piece of cake (see what I did there?). Vegan and lover of chocolate? Yay, we must be friends! I’ve got lots more in store for you! Create sour milk by whisking together almond milk and vinegar. In a separate bowl, add melted butter and sugar, and mix well. Then add your sour milk mixture. Whisk until combined, but be careful not to overwork. Spoon your cupcake mixture into lined cupcake tray, about 3/4 full. Bake at 180 (fan oven) for 20-25 minutes. Whisk together all your ingredients until smooth.